We are the manufacturer of Synchronisation Panel. We also offer Hydro Turbine Governer, Synchroscopes & Insulation Monitor. We sell satisfaction to our priceless clients. We offer our client international standard panels. We have a group of Qualified Engineers & Technicians. Customers can get their generators back to life in critical power loss situations or when main supply fails with our improved AMF Panels. 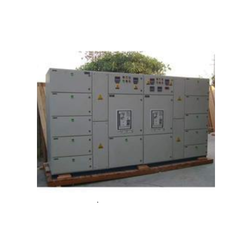 The control panels are specially designed for standby generators. 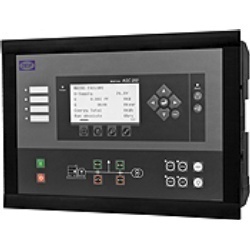 It consists of a state-of-the-art microprocessor-based AMF controller for monitoring, indicating and controlling the mains and generator for AMF operations. With the generator in auto mode, the incoming main is monitored continuously by the panel. 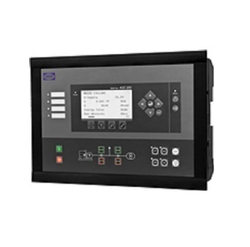 Genset Controller Specifically Developed For Control Of Single Gensets In Island Operation. It Contains All Necessary Protection And Control Functions For This Type Of Application. This Product Is Part of Our 200 Family - A Range Of Controllers That Contain All Necessary Functions For Protection And Control Of A Diesel Engine. The Range Contains Controllers Dedicated For Any Application, Right From Single Gensets In Island Mode to Very Complex Power Plants With 16 Generators, 8 Bus Tie Breakers And 1 Mains Breaker.